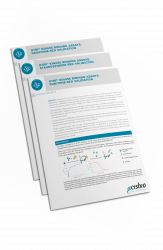 ​This anti GST-Eu cryptate is used in the HTRF® Kinase Binding format in combination with a GST-tagged Kinase and red-fluorescent tracers. 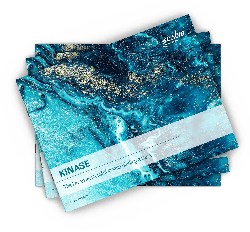 MAb Anti GST-Eu cryptate Kinase Binding is an IgG2a raised against Glutathione S-transferase, labeled with Eu. It has been shown to react with GST-tagged kinases. This reagent is intended for use in the biochemical HTRF Kinase Binding platform. 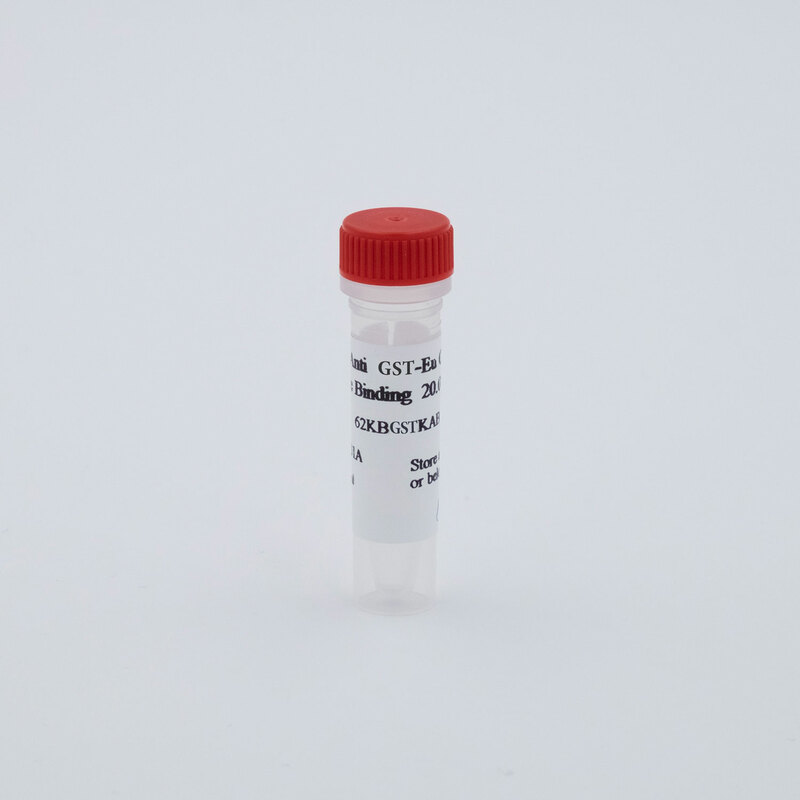 ​The binding of the tracers is detected in a sandwich assay format using the Anti GST antibody labeled with Europium Cryptate (donor), which binds to the GST-tagged Kinase, and a red fluorescent tracer labelled with d2 (acceptor). The detection principle is based on HTRF® technology. The HTRF ratio (665/620) will increase upon the addition of more of the tracer, and will saturate depending on the dissociation constant (Kd) of the tracer to the GST-tagged kinase. First, a dilution series of tracer ranging between 0 and 1 µM in the Kinase Binding Buffer is prepared in a 96-well non-binding plate. Next, 5 µL of Kinase Binding Buffer are dispensed into the final 96- or 384-well plate. Then 5 µL of GST tagged-Kinase are added, followed by 5 µL of Anti-GST Eu-cryptate. Finally, 5 µL of the red tracer solution are added. The binding of the tracers is detected in a sandwich assay format using the Anti-GST labeled with Europium Cryptate (donor), which binds to the tagged Kinase, and a red fluorescent tracer labelled with d2 (acceptor). First, a dilution series of inhibitor ranging between 40 µM and 0.23 nM is prepared, and 5 µL of each concentration are dispensed into the plate. Next, 5 µL of tagged-Kinase are added, followed by 5 µL of anti-GST Eu-cryptate. Finally, 5 µL of tracer solution are added, prepared at 4x the final concentration. The HTRF ratio is measured after 1H of incubation. ​​​Dose response curves of various known kinase inhibitors (Staurosporine, Dasatinib, PP2, Imatinib, Tozasertib, Sunitinib, Gefitinib, and Sorafenib) were measured using Staurosporine-Red at its Kd (29 nM) on 5 nM FGFR1-GST. Staurosporine has an inihibition constant of 13 nM, in correlation with the literature value of 9.1 nM. Imatinib and Gefinitib do not compete, as can be expected for FGFR1.